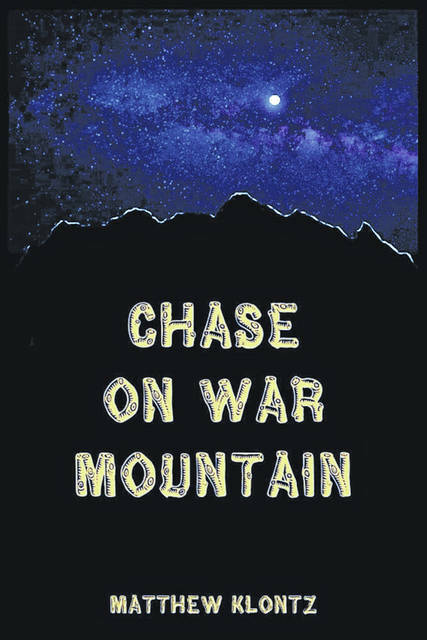 NEW PARIS — Matthew Klontz, of New Paris, Ohio, has announced publication of his novel “Chase on War Mountain.” It is the Wright State University grad’s first published book. In the book, T.J. and Jimmy Lee are enjoying their last few weeks of summer vacation when, after going through a harrowing experience, they decide to search for an old moonshiner who at one time was known as the nastiest, most violent, and most evil man that ever roamed the hollers and mountains of Southern West Virginia. Deciding not to tell anyone about their plans, the boys soon find themselves in more trouble and danger than they could have ever imagined. Will anyone on earth be able to save them or will their desire for adventure lead them right over the edge? Klontz, an English teacher by trade, said a visit to War, West Virginia, and the nearby town of Coalwood to learn about Homer Hickam and the Rocket Boys, main characters in the movie “October Sky,” led to him being inspired to write this story.